Ever thought a day will come where you can chat with your favorite movie character for real? Well, the days have arrived folks, and in a year or more you will soon be able to chat with your favorite movie character. It can be an old fictional character like Indiana Jones, or the Dormammu; you can soon be able to chat with the persona. Isn’t that amazing? We all wanted to talk to the movie character than the actor who played it because of their screen presence, the attitude and what not. With the Artificial Intelligence & the natural language processing, it can be possible to bring the movie characters as a chatbot. This idea has been perceived by moviegoers for a long time and came alive with the final chapter of Resident Evil movie which has already arrived in theaters. The film distributors – Sony Pictures Entertainment has teamed up with an AI agency iv.ai which specializes in developing customized AI-based chatbots. The team has developed “The Red Queen” which is The world’s first movie character powered by True AI and promoted it over social media with a hashtag #ChallengeTheRedQueen. 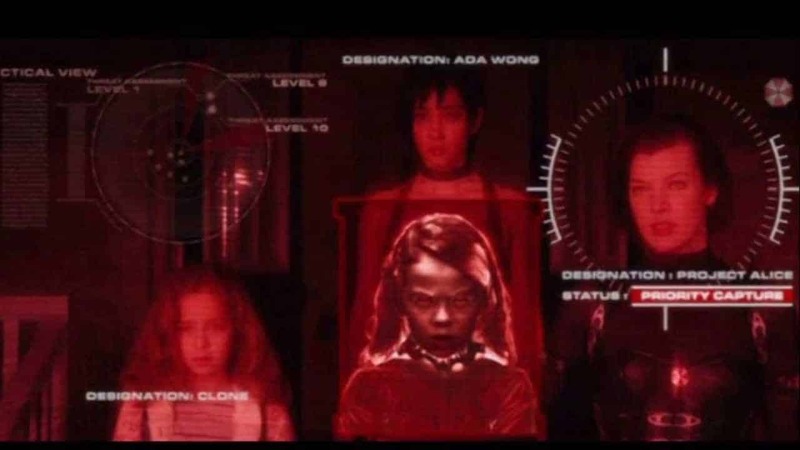 For developing the bot, the team at iv.ai has fed the Resident Evil’s script and made the persona to mimic the movie character. The firm’s sophisticated AI ingestion system & the natural language processing is making the chatbot interact with users with the same attitude & behavior. You can find the chatbot on Facebook’s Messenger & in Telegram which has been live for last month. 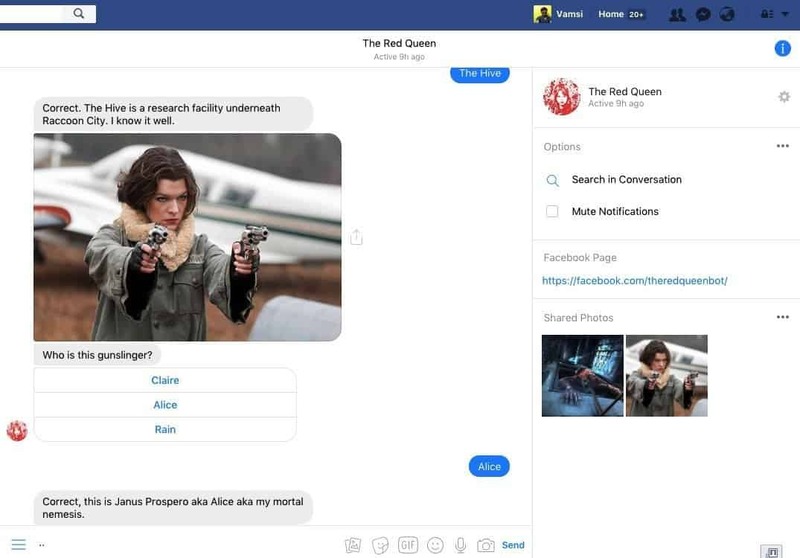 Once you get on to the Messenger & sent a request to The Red Queen, it will start to ask you ten questions from the Resident Evil movies which you have to answer in 10 seconds. The one who answers correctly & fastly will be chosen as a winner and are showcased on the official Facebook page. I was a bit late to test the chatbot, but as far as I tested, it came up with a lot of gifs, and the ten questions challenge. “I was excited not about the chatbot, but the idea that has been considered as a concept went live this year! We can consider this as a just beginning in the digital marketing, but once it goes deep, you can see the depth of usage. I believe, the Hollywood will soon start using customized chatbots or the movie characters itself as a medium of movie promotions. Previous articleMovavi Photo Editor – Image Editing Made Simple! Next articleHonda Riding Assist – A Self-Balancing Bike Tech With no fear of Skidding or falling!